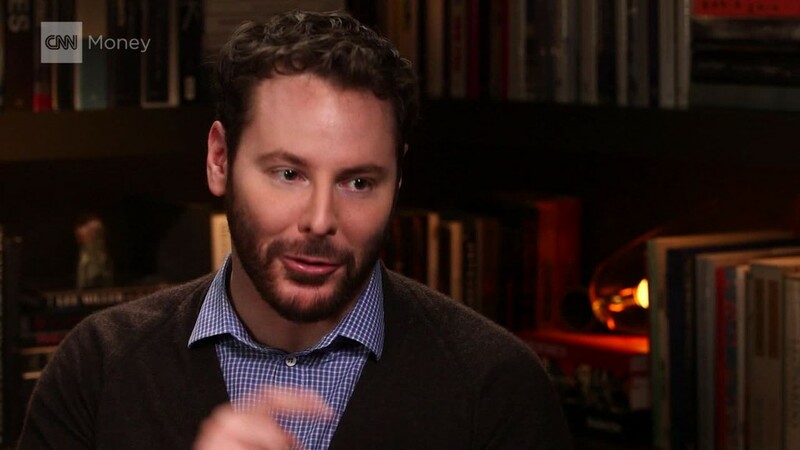 Sean Parker believes billionaires shouldn't wait until they are dead to start giving their money away. 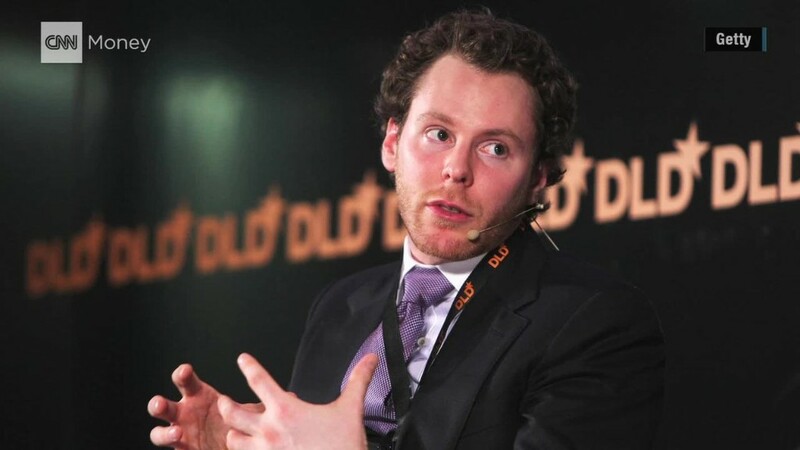 Parker co-founded Napster at 19 years old and was the founding President of Facebook (FB). Now all of 35, the billionaire is calling for a reboot of philanthropy. Essentially, he wants to disrupt an industry that -- he argues -- has never been disrupted. "The incentives are set up in such a way that donors are rewarded for giving money. And, to some extent, I think, coddled because the currency in that world is recognition" he told CNNMoney in an interview at his Los Angeles home. Parker wants to see a philanthropic model where big problems are identified and bold, risky investments are made to attack them. This week, he formally launched his $600 million foundation. The Parker Foundation hasn't yet outlined all its investments, but Parker is keenly focused on health care. "If the 20th century was about labor disparities, the 21st century will probably be about health care disparities," he said. In December, Parker donated $24 million to research efforts underway for allergy cures at Stanford University. Parker is allergic to peanuts, tree nuts and shellfish and has been hospitalized dozens of times for life threatening reactions. More recently, he made a $4.5 million grant to a team at the University of California-San Francisco focused on eliminating malaria. The current philanthropic model, Parker said, is too risk averse. "There are just too many of these massive institutionalized charities. There's a huge amount of wealth concentrated in those types of organizations. And they tend to be very bureaucratic." He thinks charities should be run more like startups -- and be willing to fail, openly. "In any other field outside of philanthropy, if a company released a product and just continued to insist that it was working when it wasn't -- and didn't listen to feedback from customers and didn't change -- they would probably fail," Parker lamented. "You don't have that feedback loop in philanthropy. It's very difficult to move away from a failed approach." Parker is clearly sending a message to his peers in Silicon Valley -- and perhaps to the next Sean Parker. He argues it is their duty to take on political, civic and humanitarian issues. And, he added, these young billionaires can do it the way that made them rich -- with guts, creativity and anti-establishment thinking. "I find it very strange when I look at entrepreneurs or successful business people who had a huge impact largely by being risk averse, largely by taking chances. But when they make that switch to being philanthropist, they suddenly become very conservative." Parker also wants to invest in solving political problems by focusing on "civic engagement." He is launching a new social media app, called Brigade, to encourage users to connect, and debate, political issues. Parker is part of a generation of tech billionaires that he said need a wakeup call. "So often people, especially in the technology world who come from nothing, and maybe they succeed very quickly -- it takes them a while to figure out that they have influence," Parker said. "I think to some extent they're almost in denial of their own success." So when did Parker make the shift from tech rebel to philanthropist? For him -- it was children. "When you have kids. You start thinking about the world you're going to leave for your children. And, and you start to think on a longer term time horizon." Parker admits this is all really an "experiment." He hopes to see some wins as big in philanthropy as he's seen in technology. "I think that some of the things that I may try may be hugely successful and some of them may be catastrophic failures. But the, the goal is to try to continue to innovate."